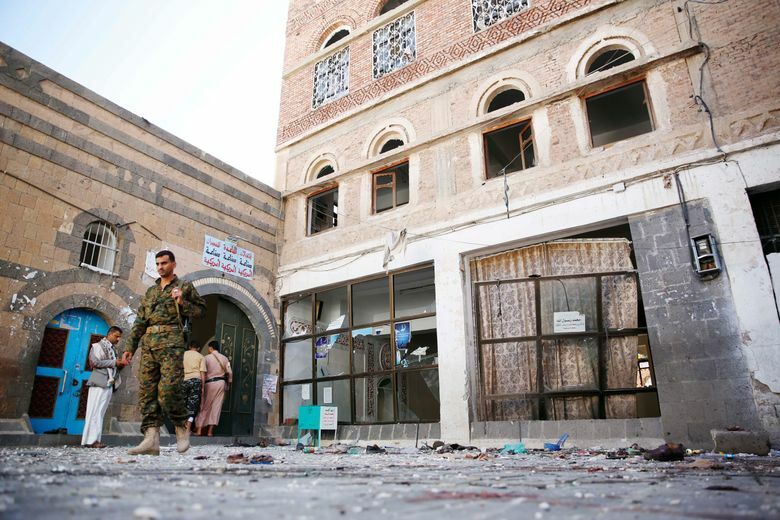 SANAA, Yemen (AP) — A suicide bomber struck a mosque in Yemen’s rebel-held capital on Thursday, killing 25 worshippers during prayers for the Muslim holiday of Eid al-Adha. 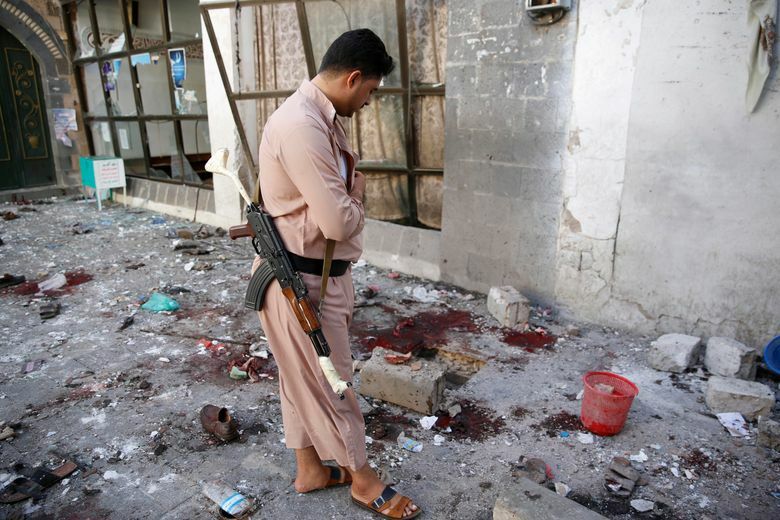 The Yemen-based Islamic State affiliate claimed responsibility for the blast, saying it was targeting the country’s Shiite rebels. 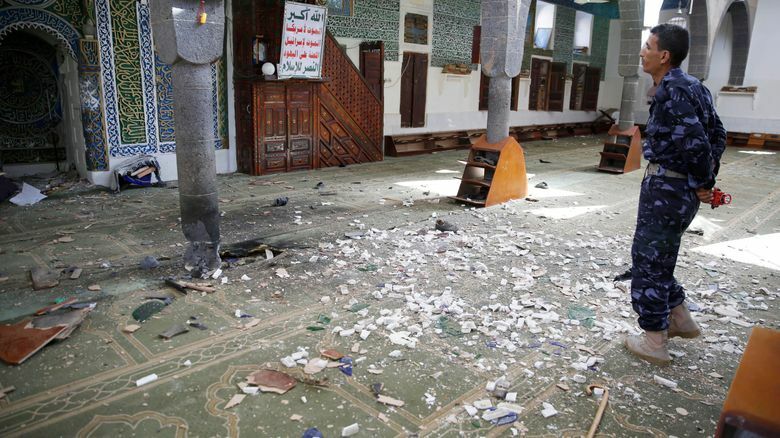 The explosion, which also wounded dozens of worshippers, tore through the al-Bolayli mosque in the morning hours, according to Yemeni security officials. 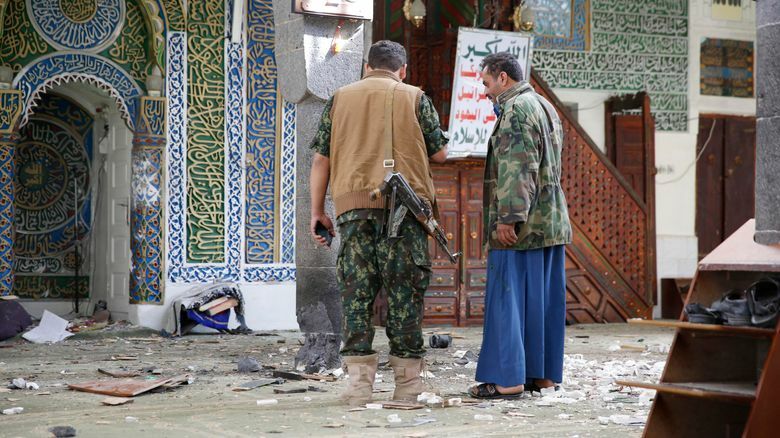 The mosque is located in an area where many residents support the Shiite rebels, also known as Houthis, who have controlled Sanaa since last September. The IS affiliate’s claim of responsibility came in a statement circulated on Twitter by the Sunni militant group’s supporters. The Associated Press could not independently verify the authenticity of the claim. The statement said IS targeted the Shiite rebels, whom the Sunni extremists view as heretics. The security officials said the suicide bomber placed an explosive device in his shoe, causing an initial explosion. As worshippers rushed to the door, he detonated himself in the middle of the crowd, they said. The officials, who remain neutral in the conflict that has splintered the country, spoke to the AP on condition of anonymity because they were not authorized to talk to the media. 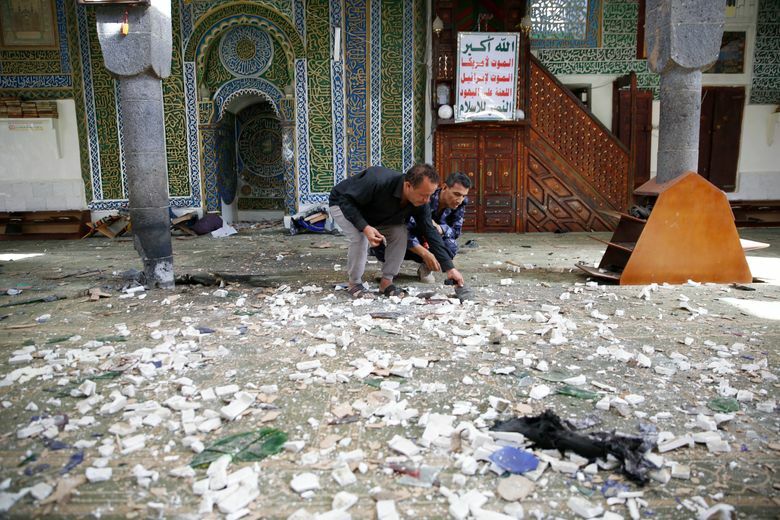 There were puddles of blood and debris outside the mosque, whose ornate facade was damaged by the blast. Police and some Houthi fighters came to inspect the aftermath. Eid al-Adha is a major Muslim holiday, also known as the Feast of Sacrifice. 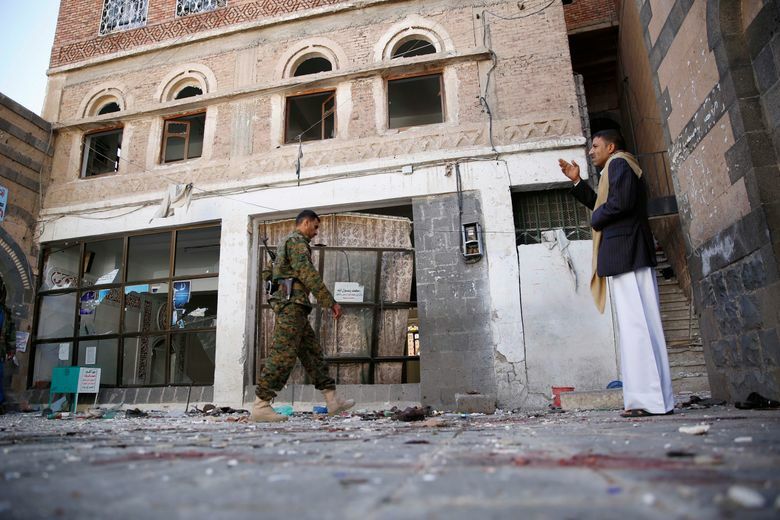 Yemen has been torn by a ferocious war pitting the Houthis and forces fighting for former President Ali Abdullah Saleh against fighters loyal to President Abed Rabbo Mansour Hadi, as well as southern separatists, local militias and Sunni extremists. 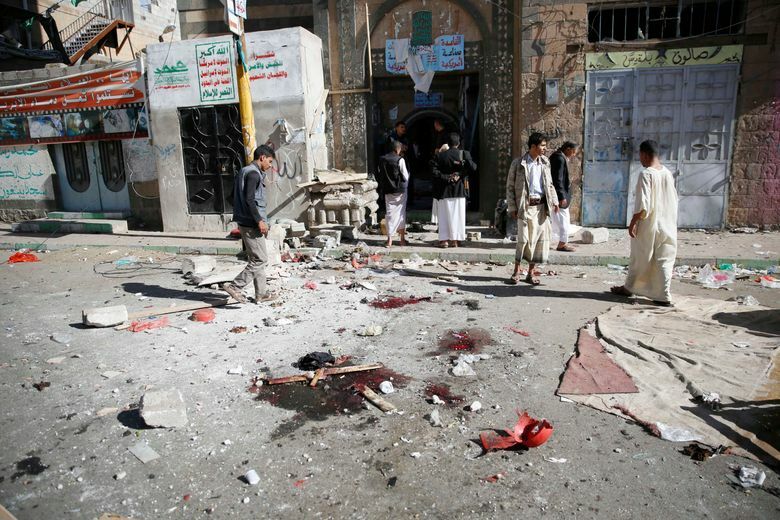 The Islamic State affiliate in Yemen has claimed responsibility for a series of suicide bombings in Sanaa targeting Shiites in the past months. American officials initially expressed skepticism that the affiliate existed, as Yemen is also home to the world’s most dangerous al-Qaida offshoot. Also Thursday, four children and an adult were killed when Houthis and their allies fired mortar shells into a residential neighborhood in the city of Taiz, independent security officials and health officials said. At least 21 civilians were wounded, they said, also speaking on condition of anonymity because they were not authorized to talk to reporters.